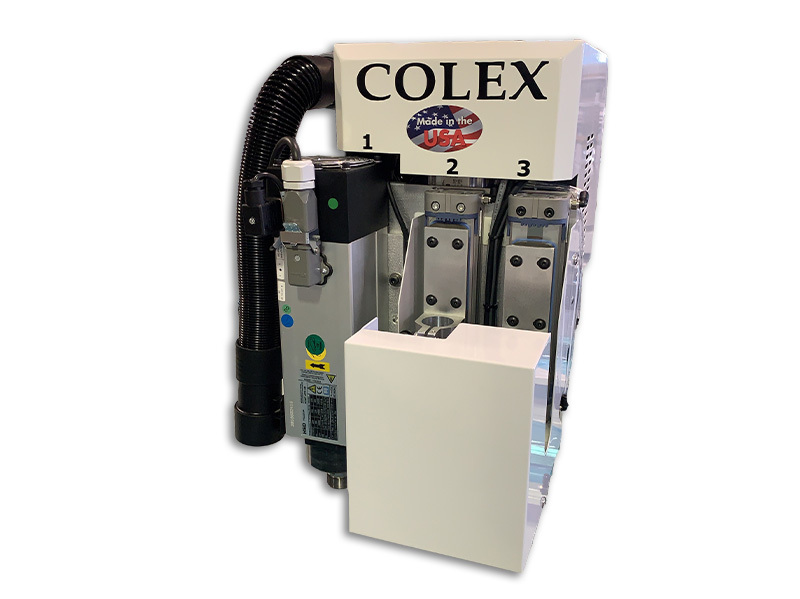 The Colex SharpCUT has several options for automating production. If the majority of your workflow consists of rigid or semi-rigid boards (i.e. Acrylic, sintra, coroplast, ACM, PVC, etc.) 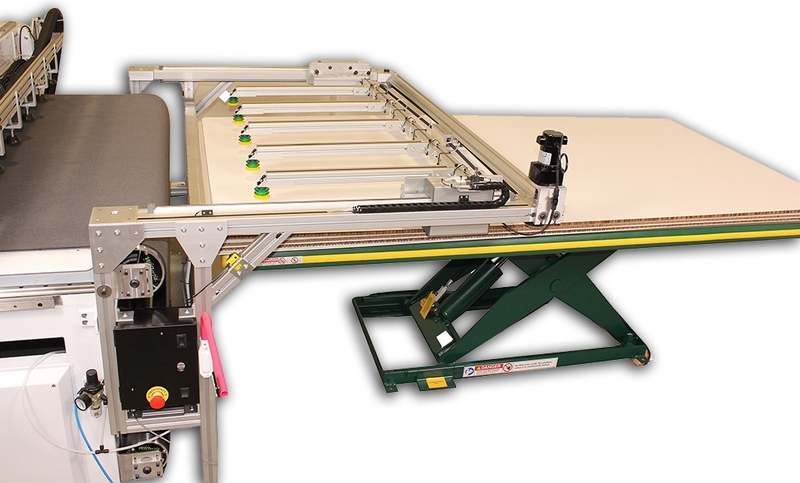 we offer an Automatic Board Feeder. 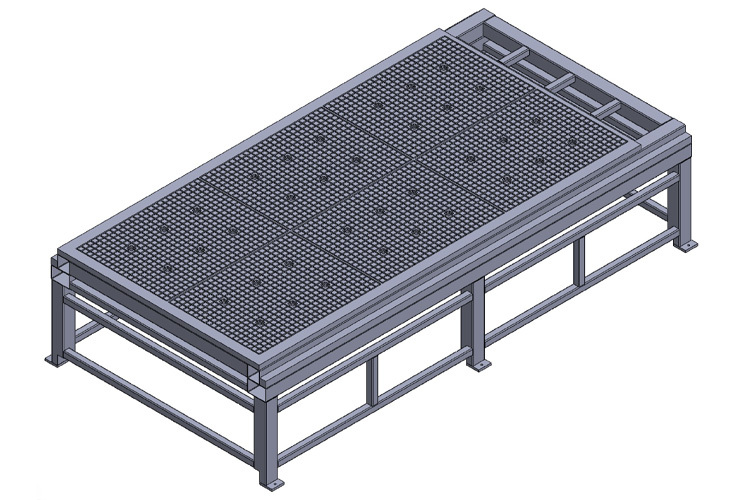 The Board Feeder allows you to load up a pallet of media and it will automatically load one board after the next onto the cutting table. 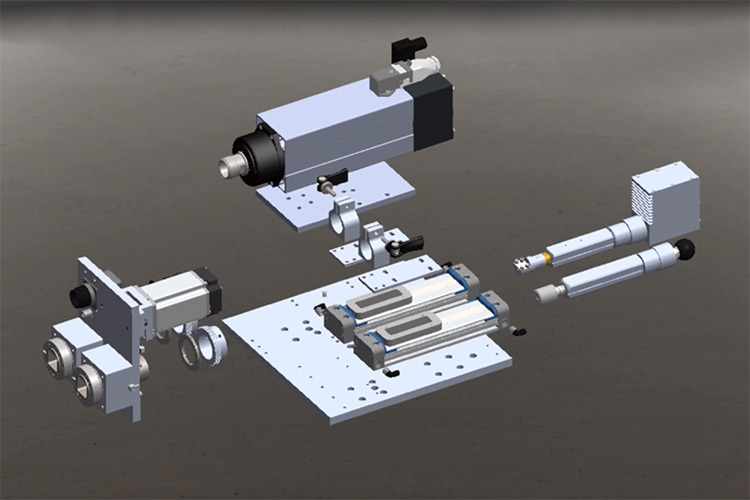 If your workflow is roll media there are several feeding options that we offer. The first option is a roll stand. This is the least expensive option and works very well with substrates that do not stretch. 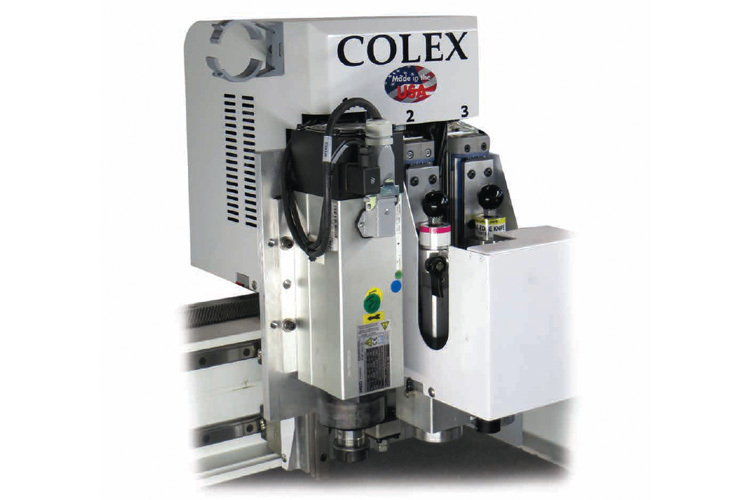 Another option we offer is the Motorized Roll Feeder. This unit works well with larger rolls as well as medias that stretch. The motorized feeder will keep constant tension on the media, this tension is adjustable, to minimize stretching of the media.